The Circumpolar Biodiversity Monitoring Program (CBMP) is an international network of scientists, governments, Indigenous organizations and conservation groups working to harmonize and integrate efforts to monitor the Arctic's living resources. Our goal is to facilitate more rapid detection, communication, and response to the significant biodiversity-related trends and pressures affecting the circumpolar world. 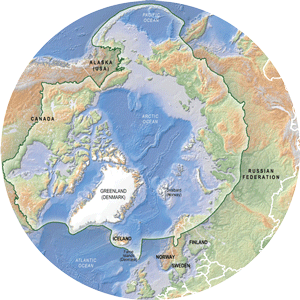 The CBMP organizes its efforts around the major ecosystems of the Arctic: marine, freshwater, terrestrial and coastal. The CBMP works to leverage monitoring activities of networks and nations and establish international linkages to global biodiversity initiatives. The CBMP emphasizes data management (through the Arctic Biodiversity Data Service), capacity building, reporting, coordination and integration of Arctic monitoring, and communications, education and outreach. The CBMP has been endorsed by the Arctic Council and the UN Convention on Biological Diversity and the official Arctic Biodiversity Observation Network of the Group on Earth Observations Biodiversity Observation Network (GEOBON).